Colour, textures, movement. 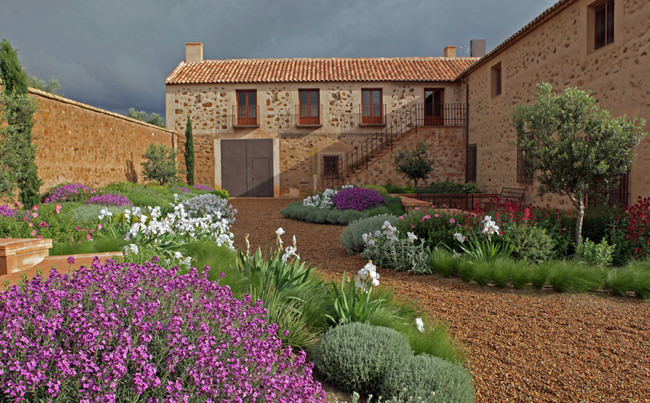 An exuberant garden in a region with extreme temperatures, protected by the farmhouse patio walls. 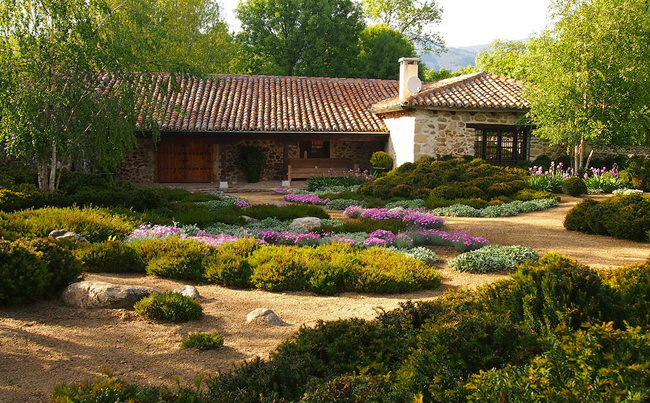 In the landscape of the mountains around Madrid, this garden is fully integrated into its surroundings due to a ‘natural’ selection of species. 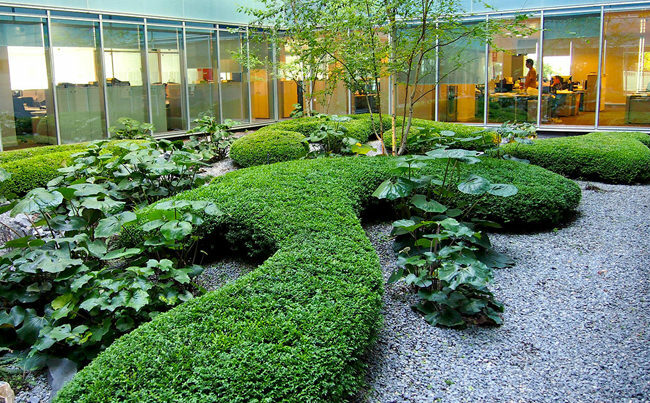 A harmony of greens in soft organic silhouettes upon a bed of grey gravel, an anti-stress landscape which can be contemplated from the windows. 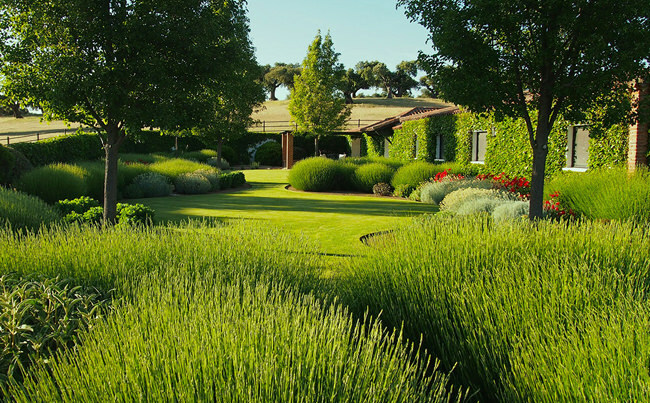 Islands of lavender and sprinklings of red roses in an oasis of greenery in the open fields of Salamanca. 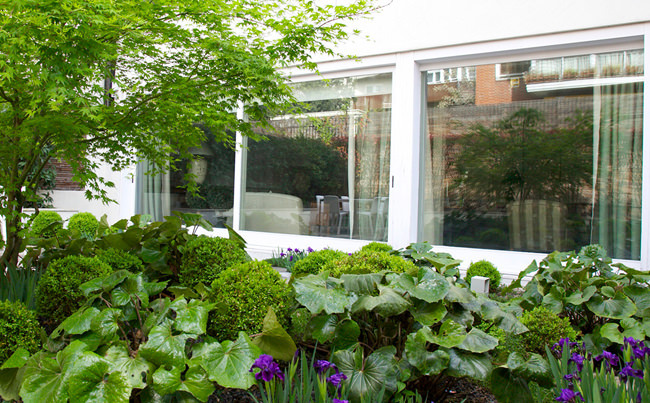 A narrow space surrounding a detached house, converted into a solemn contemporary garden with five defined areas. 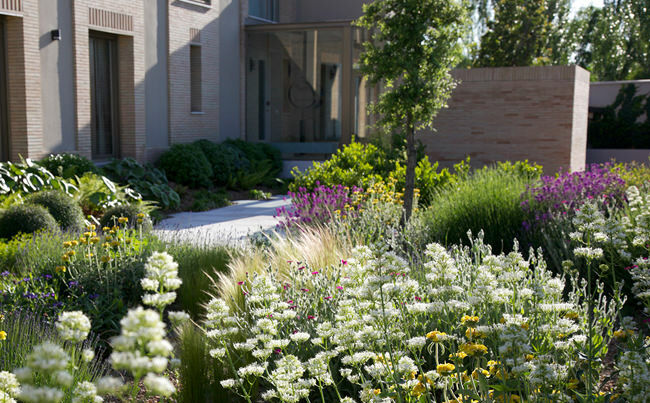 A large variety of textures and tones predominate in the species used in this garden full of light, colour and movement. 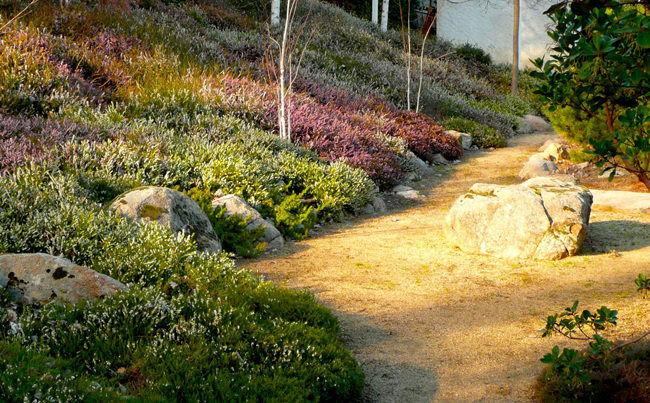 The pointillism effect of the heather flowers and leaves and the presence of stone give this garden a singular personality. 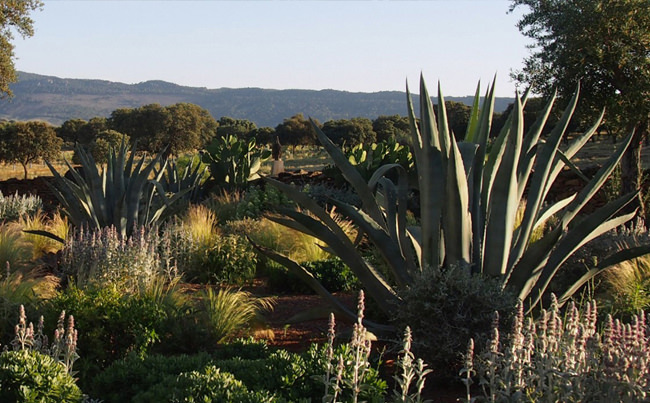 In the pastures of Extremadura, this garden allows for low maintenance and low water consumption subject to the movements of the plants. 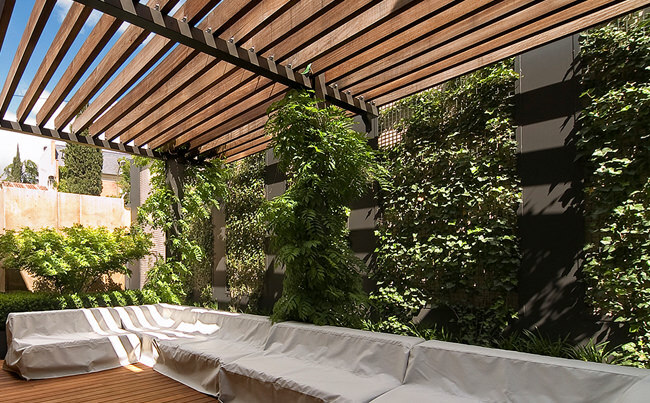 An equilibrium of long-lasting, fresh and luminous greens with touches of seasonal colour in a covered patio between buildings.